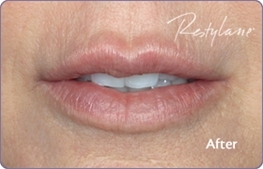 Similar to Restylane, the Perlane injectable filler works to fill in wrinkles and fine lines. Perlane also adds volume to hollow areas of the face for smoother, tighter skin. While Restylane has smaller gel particles for filling shallow to moderate to severe wrinkles, Perlane utilizes larger particles for better results on severe wrinkles that require a deeper injection for treatment. 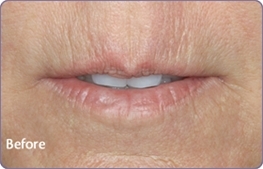 After a single treatment of Perlane, many patients see results for up to six months. The specific treatment requirements and frequency of treatment sessions varies depending on the severity and number of wrinkles or lines being treated. Like Restylane, Perlane is ideal for adding volume and fullness and correcting moderate to several facial wrinkles. Laugh or smile lines, upper lip lines, corner of the mouth lines, and nose-to-mouth lines make the best candidates for wrinkle reduction and volume correction. Dr. Haven treats patients for moderate to severe wrinkles using Restylane and Perlane at her Connecticut based dermatology practice. She personally selects and administers the best treatment plan for each patient, and holds a Diamond status with Allergan. A one-on-one consultation will determine the best treatment for specific anti-aging and skincare needs. Other injectable treatment options include Botox, Juvederm, and Sculptra Aesthetic.